Dr. Dorothy Barrie is originally from Regina, SK. She graduated from the University of Regina with a B.Sc. (Honours) in Biochemistry, and a B.Sc. in Chemistry. She went on to obtain her optometry degree at the University of Waterloo, graduating in 1990.Dr. Barrie has a special interest in contact lenses, and even fit contact lenses on chickens while in university! She has served on the Council of the Saskatchewan Association of Optometrists, and was the first female President of the Association, from 2001-2003. Dr. Barrie has received the Member of the Year award in an Existing Business from Women Entrepreneurs of Saskatchewan, and has been nominated in Saskatoon as a Woman of Distinction. She has received an Optometrist of the Year Award from the Saskatchewan Association of Optometrists, as well as the President’s Award. Dr. Barrie is a life-long learner, and graduated from the MBA program at the University of Saskatchewan in 2009. She was on the Board of Horizon Laser Vision Centre for 10 years, and has been a Professional Development Consultant for Alcon Canada. She is chair of the Children’s Vision Initiative in Saskatchewan, a program which works to ensure all children have a complete eye health and vision exam prior to kindergarten. Her office operates an optometric clinic within St. Mary’s and Confederation Schools in Saskatoon. 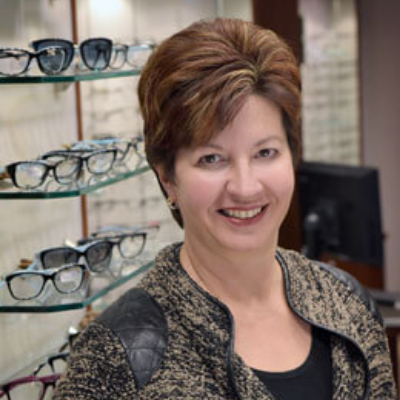 She recently celebrated her 25th year in private optometric practice in Saskatoon. She enjoys all areas of optometric practice, and has a special interest in dry eye management, contact lenses, nutrition and eye health, and low vision. She is an avid reader, and she is active with her two children, Ryan and Stephanie and their Labradoodle Charlie and Cat Phoenix. She has found Hot Yoga when she needs to recharge!